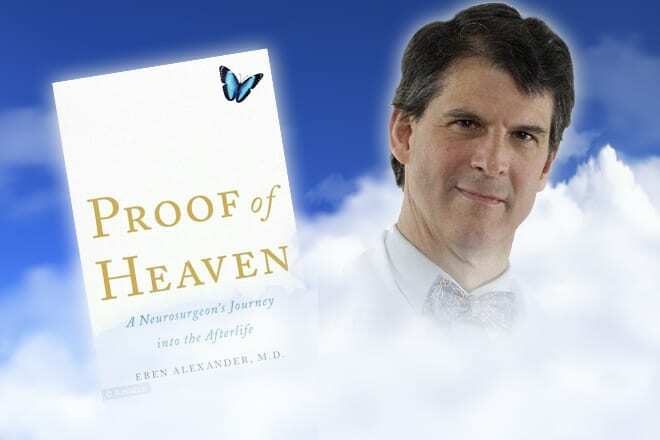 In his block buster bestselling book, Proof of Heaven, an autobiographical account of a near death experience, Harvard University neurosurgeon Dr. Eben Alexander writes about “journeys” to another realm, encountering love ones after death, and meeting a beautiful lady in “Heaven”. 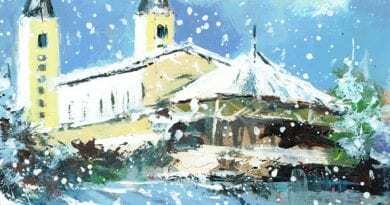 With the Virgin Mary and Medjugorje in the back of my mind, as I read the doctor’s account of going to “Heaven”, I was astonished by the similarities of the doctor’s testimony with the statements made by the Medjugorje visionaries about Heaven and the after-life. Dr. Alexander’s words are illuminating and hopeful, but for those who are familiar with the descriptions of Heaven and the Virgin Mary, reading Dr. Alexander’s encounter with the beautiful women from Heaven, it seems apparent, immediately, the doctor was met by the Virgin Mary as he travelled into the after-life. 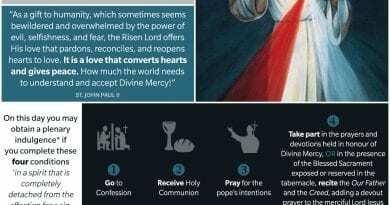 .” Importantly, Alexander’s NDE experience of encountering the Virgin Mary is far from unprecedented – the boy, with protestant roots, who inspired the book Heaven is for Real says, without hesitation, he saw Virgin Mary after he “died” sitting right beside her son Jesus Christ. From Dr. Alexander’s passage, we can clearly see that he experienced something special and vividly beautiful, but what stands out is the captivating encounter he had with the woman he met in Heaven. He says that that the woman in Heaven had high-cheek bones and wore a simple outfit “like a peasant’s” and that her garments were blue and indigo. Not much has been made in the press about the doctor’s encounter with the woman, but Alexander’s tour of Heaven taken with the beautiful lady dressed like a “peasant” brings to mind the real possibility that he had been accompanied by the Virgin Mary. 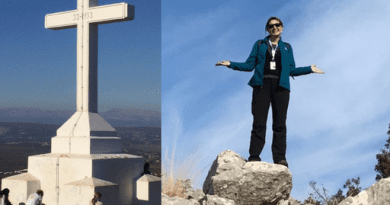 The description of the woman – her appearance, her beauty, the way she dressed, all sound like the doctor is describing the Virgin Mary that the visionaries from Medjugorje claim to see. When describing the Virgin Mary’s outfit, the visionaries say she wears simple clothes – peasant garments except on Christmas when she comes with more formal gold and red celebratory clothes. According to the official Medjugorje site, the most successful inquirer of the visionaries is author, Fr. Janko Bubalo, a Franciscan of the Hercegovinian province. The priest asked Medjugorje visionary Vicka to describe the Virgin Mary’s outfit. .
As we can see the clothes of the Virgin Mary are simple and plain and their colors are grey and blue like the beautiful woman that met Dr. Alexander, but the hues of her garments have been described as otherworldly and the light surrounding the Virgin Mary is not known on earth. Vicka was asked, in a separate interview, about the appearance of the Virgin Mary by author Krešimir Šego in terms of her “beauty”. Sego conducted an extensive interview with Vicka which was published in his book Time of Grace. It is interesting to note how Vicka’s words echo Doctor Alexander’s colorful description of the woman he met in Heaven. “Well, really we haven’t told you anything about that – her beauty cannot be described – it is not our kind of beauty – that is something ethereal -something heavenly – something that we’ll only see in Paradise – and then only to a certain degree. 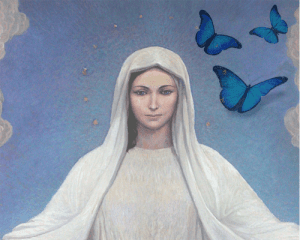 ← Medjugorje Visionaries, Maria Valtorta and the Mysterious Claim: Did the Virgin Mary Encourage the Faithful to Read “The Poem of the Man God” in Order to Know Jesus? 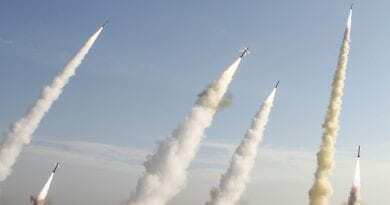 Morgan Freeman “We are at war with Russia” Why is Hollywood Pushing for War?